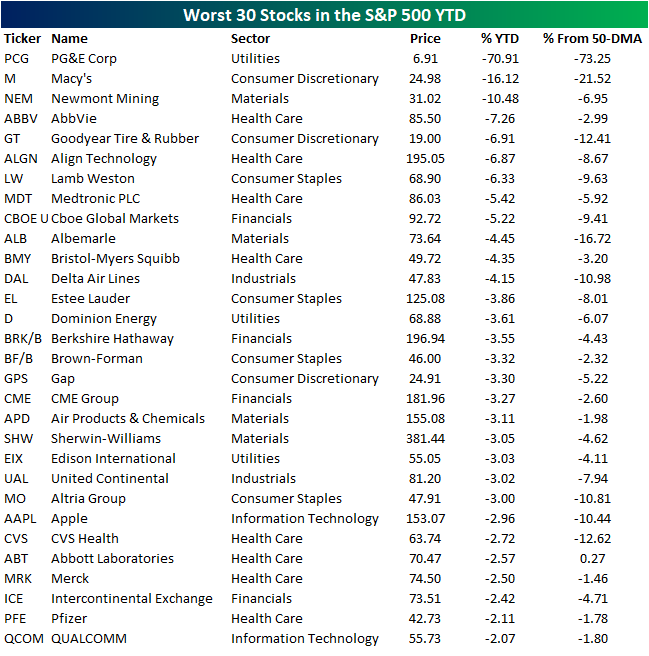 Below we take a look at the best and worst performing S&P 500 stocks since we turned the corner into the new year. 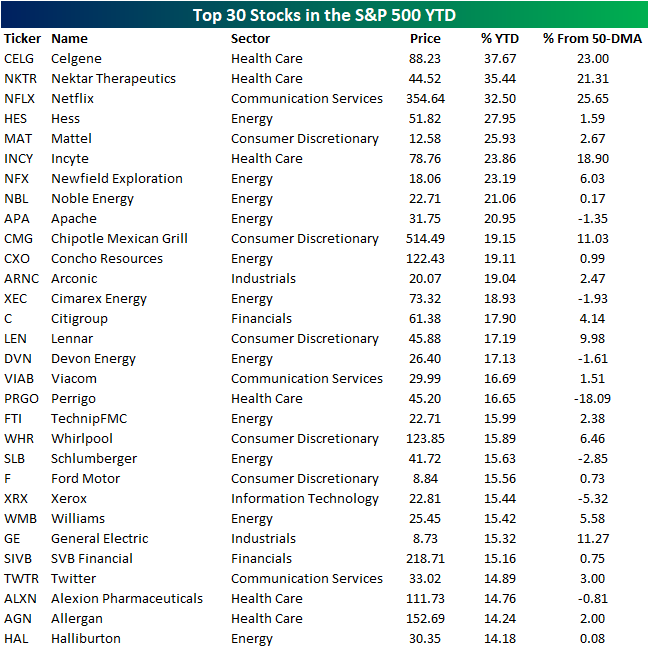 The top stock in the S&P 500 so far YTD is the healthcare play Celgene (CELG). At today’s close, the company finished up an astounding 37.67% year to date. Nektar Therapeutics (NKTR) and Netflix (NFLX) are not far behind, up 35.44% and 32.5%, respectively.